To identify the dysfunctional aspect and take measures step by step to make the required amendments in the organization is called the organizational design (Roh et al. 2014). Often to improve the effectiveness of the organization resign is done. The report aims to discuss the Department of Traditional Assistance (DTA) and its reorganization. The report provides a brief background of the organization followed by its functional units and its processes. 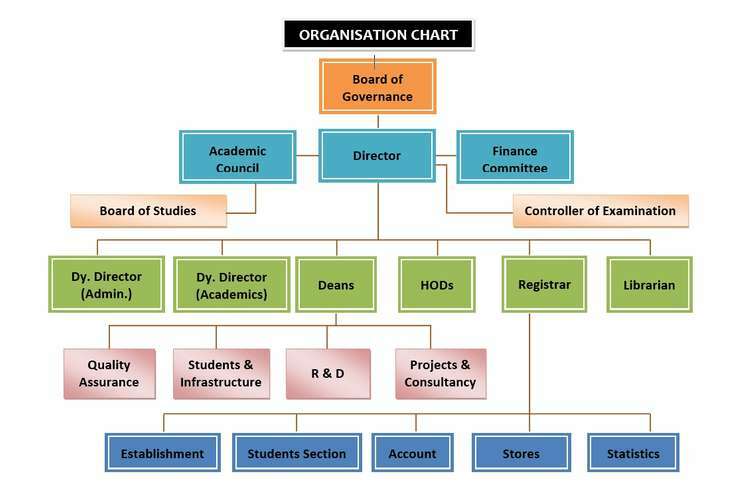 It also discusses the organization’s structure as well as the organization’s design. The need for redesign and the project’s vision has been discussed in the report as well. Under the state’s Health and Human Service Branch, the Department of Traditional Assistance (DTA) is an executive branch agency. Located in Northern East region of the U.S. the DTA offers welfare program for families and individuals. The workers of the DTA process entreaties for the welfare benefits, inquiry policy rules, follow recipients, scan a fingerprint and issue electronic benefit cards (Ainslie and Kepe 2016). DTA possess three main programs that aim to provide help to families and children. Recently, the organization leadership is faced with frequent changes. The determination of identifying people who truly need the benefits of DTA is the job of the social workers. The social workers need to be well aware of the policies and frequent changes associated with it (Kuilboer and Ashrafi 2006). The social workers stated facing problems by the 1980s with the federal policies. The department had formed an automation for tracking client’s contacts and calculating financial gains. However, the system was poorly designed which lead to the redesign of the information system. DTA comprised of four major units namely, Administration and Finance, Field and Eligibility Operations, management information system, Policy, Procedure and Program Management and Management Information System (Yoshikawa et al. 2014). 1.Field operation is the maintenance of the local offices. It manages centralized services that assist the operation of the local offices directly. The local offices were responsible to identify the families and individuals who were eligible and needed assistance. After the identification, it is the responsibility of the local offices to provide them benefits and services. 2.The policy, procedure and program management is accountable for the writing, reviewing and development of procedures and regulations for all other departments. 3.Administration and finance is a department for every administrative and financial function performed in the department. 4.The management information system is accountable for all the operation and function automatically in the department (Al Shobaki and Naser 2016). It includes all the technical infrastructure such as the analysis team, the production support team and the development team. The governor appointed a commissioner and he was responsible to lead the department. When the project was initiated the commissioner was a career department employee. The deputy commissioner was from the field and eligibility operation as well a political appointee. The assistant commissioner is responsible for all the four departments and the deputy commissioner has to be informed by the assistant commissioner. The assistant commissioner of administration and finance and MIS were appointed from outside who have no previous experience in social service. The civil servants are protected from the changes. They are not easily terminated as well for the lengthy procedure. The salary structure is set by the state legislature and compared to the private sector is relatively low. Compared to the benefits of private sectors, the benefits are better for this organization. Their restriction on merit pay raises in the management. Although the department has begun automation it did not substitute the retired employees and the employees who are no more working in the department. This resulted in several older employees in the department. In the MIS department, the pay raise was lower than the inflation, very rare training and very few people skill. Although the assistant commissioner in 1992 was from a high rank of computer firm the other employees were only former social workers without any management training. The immediate hiring was done by the assistant commissioner. The decision of implementing Information Engineering Methodology was taken by the assistant commissioner. The project was started with 14 analysts and a manager with good vision for the department was hired. Organization tend to redesign its organization for several reasons such as improve effectiveness or build strategy (Lynn 2017). The organization was in need of redesign primarily for the benefit of the social workers. The organization was trying to modernize the system and the organization. The benefits would be shared by both the social workers and the clients. The aim was to implement automation that would help the social workers to connect with the clients and determine their eligibility. The process of providing the help would become easier and flexible. Along with the major aim, the redesign was also for an overall improvement. A project vision is the idealistic view of the organization that it needs to achieve (Mesquida and Pérez 2015). The vision of the project was to develop a client architecture free from the state’s mainframe computer. The assistant commissioner wanted to implement a multitier that would be essential to enable clients and service provider connected to a network. It would make the communication between the client and service provider flexible and easy. A project was initiated in May 1993 with a small group of contractors. The project was aiming to execute all benefit calculation involving the policies and procedures of the department. The project would help the social workers to connect with the social workers at one point and connect with them and determine the eligibility of them. The project would make reporting easy and flexible. It would also provide an efficient interface with the state’s medical information system and revenue aspect. The project was also for opting for facilitating direct deposits and electronic transfer of benefits. By the case study, it is understood clearly that it was an attempt at modernizing a state social service which faced various challenges and failed. For the failure of the project the major reason was the absence of feasibility studies. This led to poor budgeting, scheduling and staffing. Today, the big question of the department is after consultants develop the system how the present staffs will maintain it? Since the department has realized all the risks, how will the department act accordingly? It is expected that the department will replace the old system which was unmaintainable. In the end, it is important for all the social service agencies to consider that the large-scale automation is genuinely seen as a success with the stakeholders. The oversight is necessary and it has to be done by the department with assurance. 1.Ainslie, A. and Kepe, T., 2016. Understanding the resurgence of traditional authorities in post-apartheid South Africa. Journal of Southern African Studies, 42(1), pp.19-33. 2.Al Shobaki, M.J. and Naser, S.S.A., 2016. Performance development and its relationship to demographic variables among users of computerized management information systems in Gaza electricity Distribution Company. 3.Kuilboer, J & Ashrafi, N 2006, ‘Information systems redesign in a state social services agency: A case study’, in M. Khosrow-Pour (ed. ), Cases on Information Technology and Business Process Reengineering, Hershey, PA, pp. 122-137. 4.Lynn, N., 2017. Organization Redesign Process as ODI on Organizational Factors and Human Dynamics. ABAC ODI JOURNAL VISION. ACTION. OUTCOME., 4(2), p.137. 5.Mesquida, A.D. and Pérez, A., 2015. Online tutoring procedure for research project supervision: management, organization and key elements. Journal of New Approaches in Educational Research (NAER Journal), 4(2), pp.123-132. 6.Roh, J., Turkulainen, V., Whipple, J.M. and Swink, M., 2017. Organizational design change in multinational supply chain organizations. The International Journal of Logistics Management, 28(4), pp.1078-1098. 7.Yoshikawa, H., Weiland, C., Ulvestad, K., Perreira, K.M. and Crosnoe, R., 2014. Improving access of low-income immigrant families to health and human services. Washington, DC: Urban Institute.